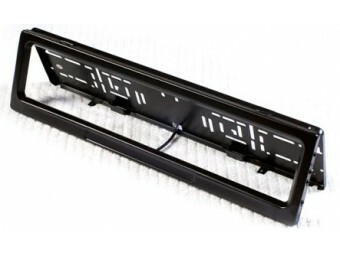 You get two solid metal license plate holders/frames, front and back with integrated electric covers. 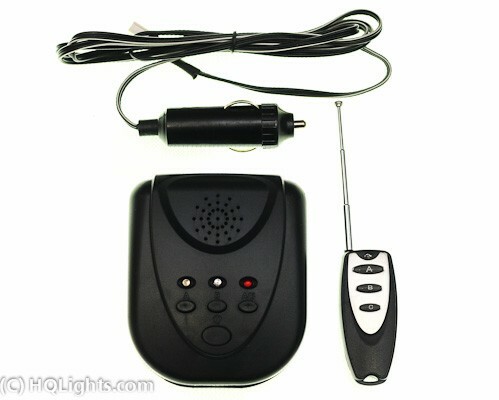 When you push a button on the remote controll or the controll unit a black curtin goes down and cover license plates. You can controll one cover at time, or both at once. Sound buzzer and LEDs indicators are showning of the covers are down or if there is a problem closing it for some reason. The controll unit can be kept in visible in teh car or hidden unbder the dashboard, glove department, uder a seat or inside engine room. The two external LEDs shoudl be mounted in well visible for you place near the dashboard, its important that you are warare if the covers are up or down. 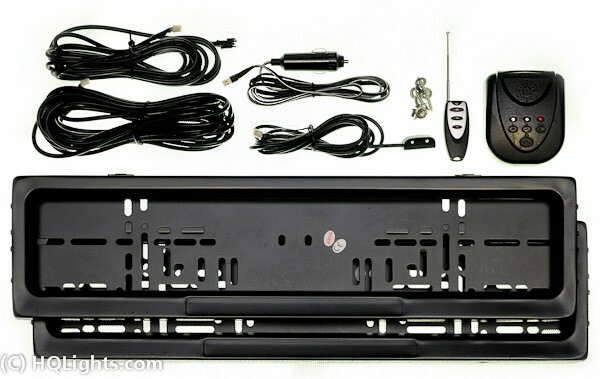 This kit incldes a small radio frequency operated remonte with over 30 m range. 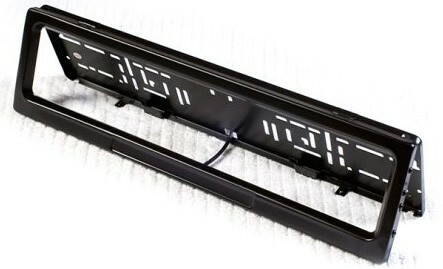 It has LED indicators and can move both covers at once or one at a time. >> LÄNK: Se mer information om dessa fjärrkontrollerare regplåtshållare. We are official distributor for this product! Resellers are welcome! NOTE: Use it for privacy and protection of your car license plates. Can be used on race tracks, private roads and parkings etc. Note that it may be not allowed in your country to drive with covers down on public roads. Do not use it for any illegal purposes.